Lamontagne Geophysics Ltd. provides several types of surveying techniques to suit your application. With our UTEM technology, we provide you with options for surface or borehole Time Domain Electromagnetic (TEM) surveys and Inductive Source Resistivity (ISR) surveys. 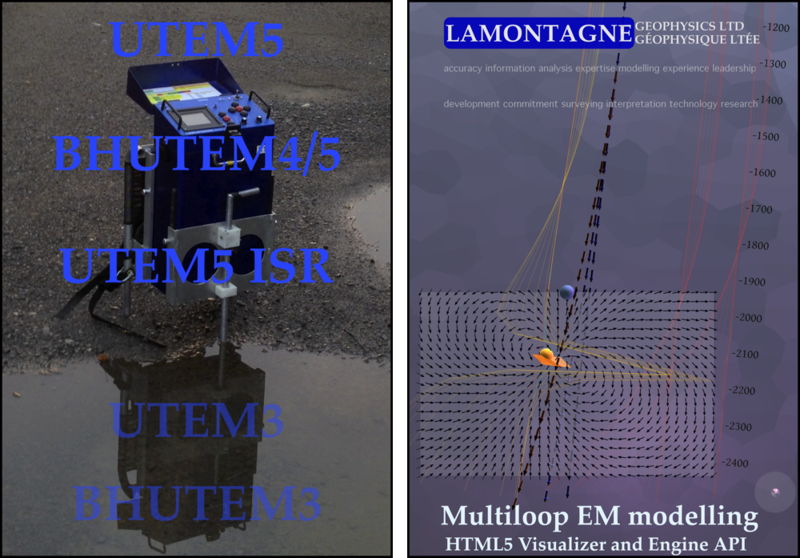 The unique system response of Lamontagne's UTEM equipment lends itself to a wider range of applications than traditional TEM systems. It is designed to provide uniform bandwidth coverage for both large loop surface and down-the-hole surveys for deep exploration. Lamontagne provides survey services with our UTEM system for base metal, precious metal, uranium and hydrocarbon exploration as well as ground water and crustal studies. Lamontagne provides experience and expertise in the design, execution and interpretation of EM surveys. Furthermore, we offer expertise in interpretation and provide data interpretation software.